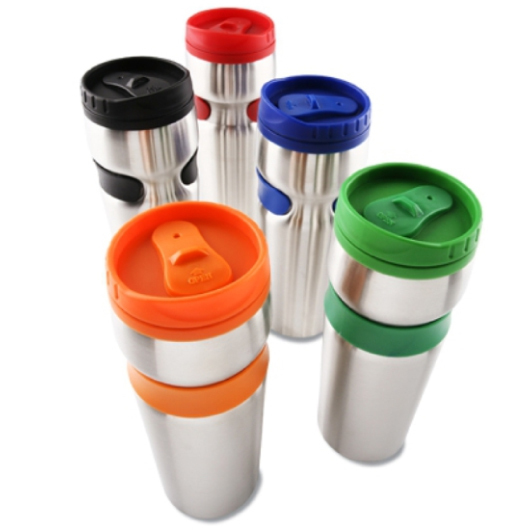 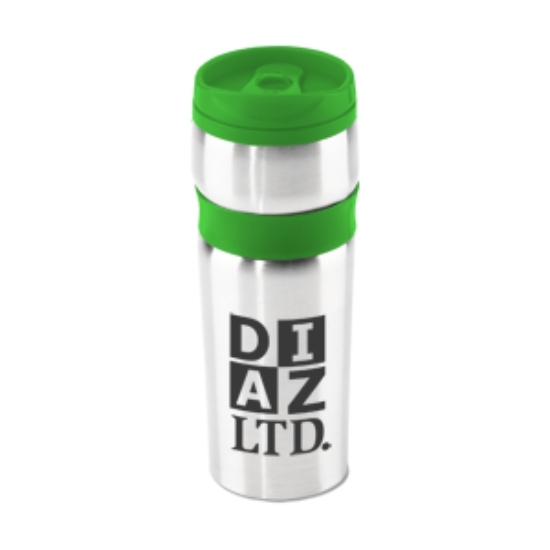 A colourful travel mug with your decorated logo. 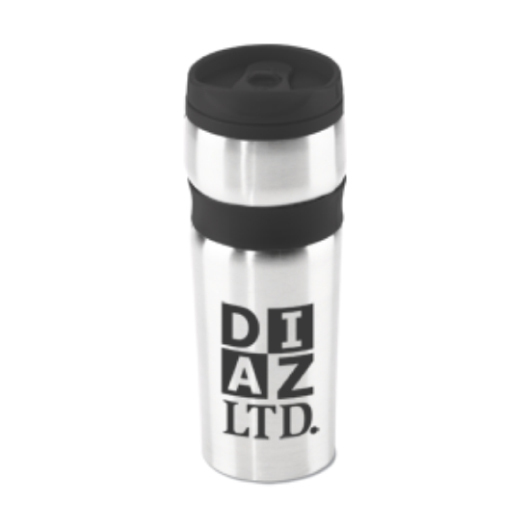 A great gift idea for coffee lovers! Get your logo seen out and about with the help of these colourful travel mugs. 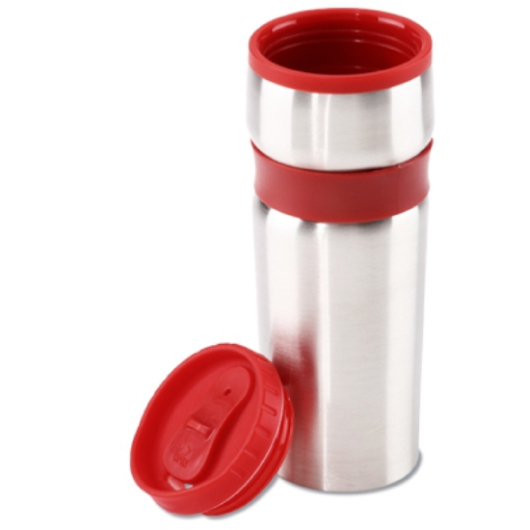 They have a stainless steel double wall build with a plastic inside. 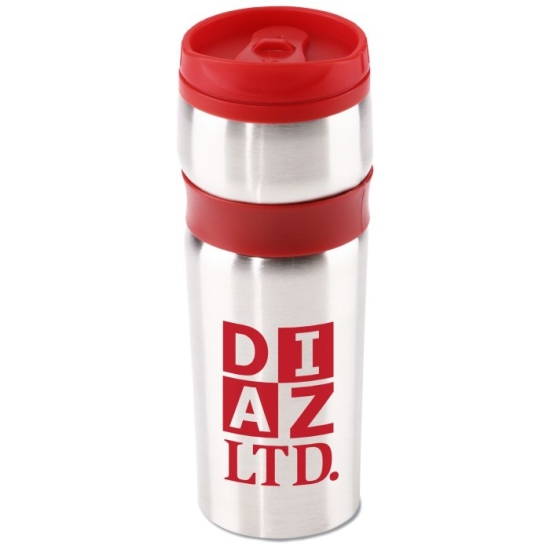 100% BPA free these tumblers have a capacity of 420mL and are a great choice for your next promotion.